Did you know that Friday, 17th February 2017 is… *Random Acts of Kindness Day*? The positive effects of kindness are experienced in the brain of everyone who witness the act, improving their mood and making them significantly more likely to “pay it forward.” This means, one good deed in a crowded area can create a domino effect and improve the day of dozens of people! A “Kindness Chain Reaction” …how awesome is that! There’s even more… if your Valentine’s Day didn’t work out so well… Kindness increases the “Love Hormone” and, it lights up the brains pleasure and reward centres, improves health and energy, contributes to happiness, increases lifespan… and even helps with the reduction of aches and pains. Kindness, the experts say, can have a stronger effect on overall health and wellbeing, than going to the gym four times a week to exercise. Wow, just be kind… and you get all of that. Obviously this makes a lot of sense… to me anyway. The more I read, the more intrigued I was about the research into kindness… especially after having experienced more un-kindness in the past few months, then usual. Of course I have some understanding why people can be unkind, and my own anecdotal perspective is that it’s tied into our modern cultured “Fight – Flight” and an even deepening sense of rejection and the fear of rejection. It’s simply easier to be rude, cold, impolite, snooty, snobbish and unkind… it’s even revered as cool or ‘wicked’ …which now has two contradictory meanings… “Wicked” is something that is pure evil. Think Darth Vader. Then on the other hand, as an informal slang term, “wicked” also means excellent …as in “that DJ is wicked, man!” …Or it can also mean something that, while not actively evil, is still extremely unpleasant. Is it any wonder that being unkind in our modern day ‘civilized’ society… can be considered by some, and even be seen as both cool and wicked… therefor acceptable and even applaudable …and yet so wrong. I believe in kindness and being kind. It takes courage to reach out and be kind… to smile at a stranger, help an overburdened mom with her trolley, give a hug, a compliment… even just say thank-you with genuine sincerity. On difficult days… it’s the love and kindness from my family, that help me to have a better day. 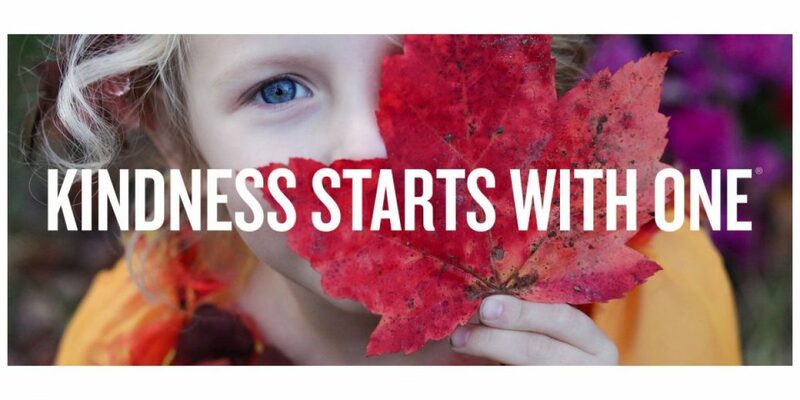 Kindness makes a difference… it touches hearts and changes lives. Choose to Be Kind… it starts with one, let that one be you! Please join us in spreading kindness. We love hearing from you, so please share your *Random Acts of Kindness* today, tomorrow… even next week or next month, by commenting below or on our Wow Facebook Page. *Smile* Those that you give… those that you witness… those that your receive. Thanks. Please Like and Share… Thanks! Info and Photos courtesy of www.randomactsofkindness.org and the The Random Acts of Kindness Foundation Facebook page. Women of Worth Facebook page.